CUCET 2019 Application Form: CUCET is a national level exam conducted by the eleven central universities, once a year. CUCET Exam is being conducted for all means candidates of 10+2, Bachelor Degree holders and Master Degree holders can get admission to their further studies and course through CUCET 2019. CUCET provide admission in UG, UG Integrated, PG and Research courses. To appear in this examination eligible candidates have to fill the application form and then prepare for the examination. That’s why we are Providing all the necessary details regarding CUCET Registration /Application form including the Step-by-step procedure to Fill CUCET Application Form. CUCET Application Form for 2019 is expected to be available in the 3rd week of March 2019. Registration along with form filling procedure will start from the same. The CUCET Last Date to fill the Application Form will be in the month of April. CUCET 2019 Exam Dates will be in the month of April probably in the last week. Candidates have to Check CUCET Eligibility for each participating universities then choose them if you are eligible. We are providing here a basic list of eligibility criteria. For UG Courses Must qualify the 10+2 or equivalent examination. For PG Courses Must have Bachelor’s degree in the respective qualifying exam for which they are applied. M.Phill/Ph.D Courses Must hold the Master’s degree. Appearing Candidates Final year student of their qualifying can also fill the application form. Integrated Courses Passed the Intermediate or equivalent examination from any board. Scanned photograph & signature size should be in between 10KB to 50KB. The dimensions of Photograph have to be of200 x 230 pixels & dimensions of the signature is 140 x 60 pixels allowed. The image should be in JPG, JPEG format. CUCET Application Fee can be paid through the online and offline mode. In online mode, candidates can pay using net banking/ credit card/ debit card. And through offline mode, SBI Challan is always there. Payment status will be visible on the application form. Candidates can fill the application with the help of the step-by-step guide provided below. The summarized steps will be Accessing form, then Form Filling, then image uploading, choosing course and universities and finally Fee Payment. 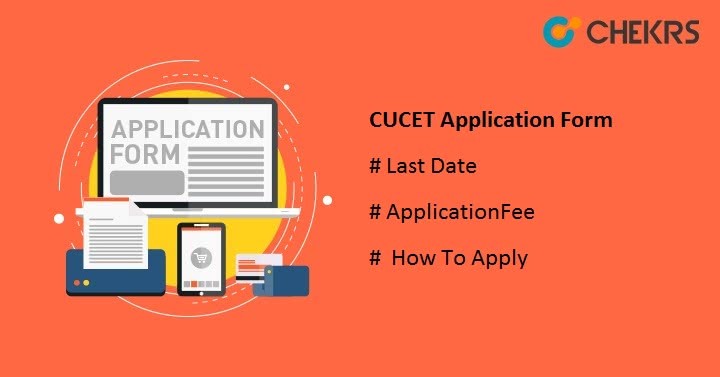 Here are the explained guide to show you, How to Apply for CUCET Application Form 2019. Visit the official website cucetexam.in. After it, Click on the “Apply” button again. The Application Form will appear on the screen now. After Accessing the Application form fill correct details there. You also need to set a password here. After entering a solid password click on the” Save & Proceed” button. Now fill the details like Personal details, Qualifying exam details, Address for correspondence, Exam center, and Declaration etc. Now at this stage candidates need to upload scanned Photograph and signature, On their preferred places. Make sure to maintain the prescribed format, dimension and size of the scanned images. According to the candidate’s reference, Candidates needs to select any three universities and any three courses in each university in which they wish to secure admission. After filling the required details click on “Save & Proceed” button. You can also take a printout of the filled form. Candidates are allowed to do CUCET Application form correction till this stage . After it Candidates can’t do editing in the Application form. Make sure to check and recheck every single filled detail in the form. If everything is perfect then proceed to Fee Payment if now do require editing. After filling the form and choosing the universities/courses. Candidates have to pay the Application Fee. The Details are given above. Make sure to pay the fee in the given time period. After entering all the details click on “Submit & Make Payment” button. Check the Syllabus and Exam Pattern in a separate Article here: CUCET Syllabus 2019.